In August 2012, Felix Hernandez of the Seattle Mariners pitched a perfect game against the Tampa Bay Rays in what Terry McDermott calls “one of the greatest exhibitions of off-speed pitches ever put on.” For McDermott, a lifelong fan and student of baseball, the extraordinary events of that afternoon inspired this incisive meditation on the art of pitching. 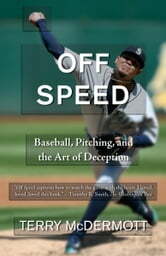 Within the framework of Hernandez’s historic achievement, Off Speed provides a vibrant narrative of the history and evolution of pitching, combining baseball's rich tradition of folklore with the wealth of new metrics from a growing legion of statisticians who are transforming the way we think about the game. 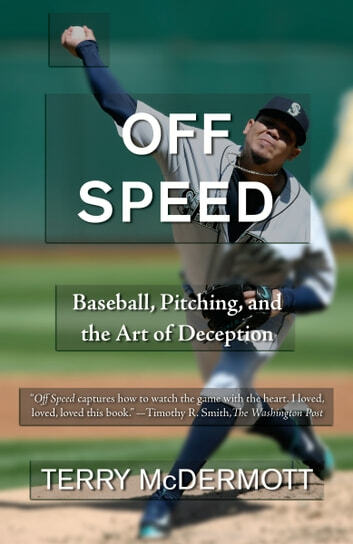 Off Speed is also the personal story of a fan’s steadfast devotion, first kindled in McDermott by his father at the local diamond in small-town Iowa and now carried forward with the same passion by his own daughters. Approaching his subject with the love every fan brings to the park and the expertise of a probing journalist, McDermott explores with irrepressible curiosity the science and the romance of baseball.